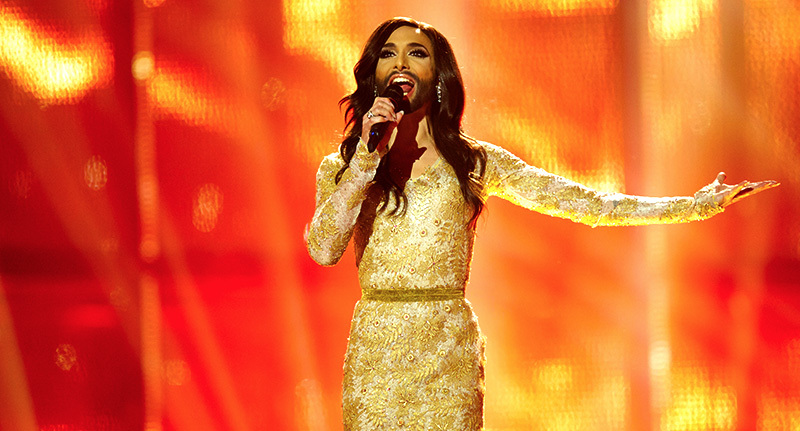 Remember back in 2014 when the world played Flappy Bird, Shia LaBeouf stopped being famous and drag queen Conchita Wurst stormed back to Austria with a win at the Euros (The Eurovision Song Contest)? Well, you will not believe what Conchita looks like now! I joke, you will definitely believe what he looks like – however it is quite the change, reports the Mirror. In 2014, Conchita was the feminine bearded drag act with an angelic voice, now Conchita, real name Tom Neuwirth, looks more masculine than ever – looking more like Russell Brand than a hairy Kardashian. The LGBTQIA activist claimed that the more masculine side has emerged after he killed off Conchita. I feel like I want to create a new person… without the bearded lady. I have achieved everything I wanted since the Song Contest victory. [Tom] wants to get out, show himself. I have to kill her [Conchita]. At the minute Conchita is in Austria rehearsing for the opening of Wiener Festwochen 2017, which will see her performing with the Vienna Symphony. The Eurovision Song Contest airs tonight on BBC One at 8pm.